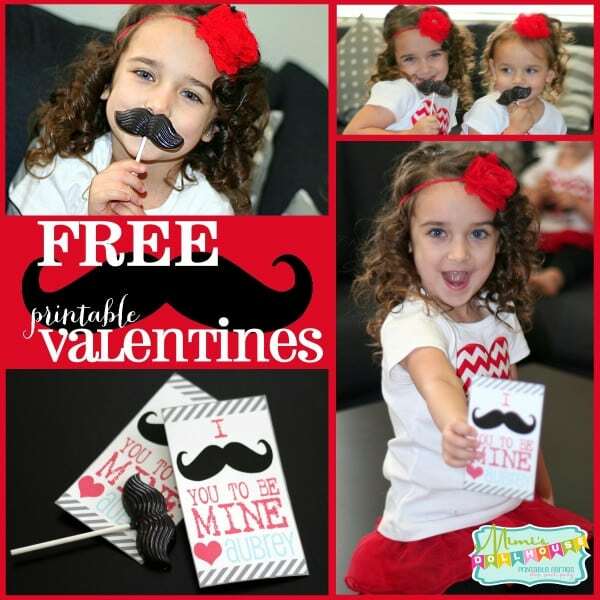 Valentine’s Day: FREE Mustache Valentines. Happy Valentine’s Day! 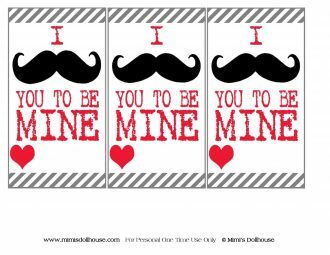 I mustache you to be mine with some FREE mustache valentines. 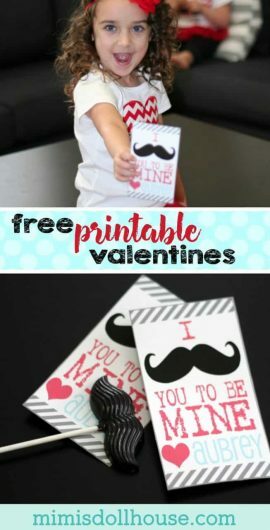 If you are looking for a great, inexpensive way to say “Happy Valentine’s Day”, these valentines are for you!! Looking for more Free Valentines? 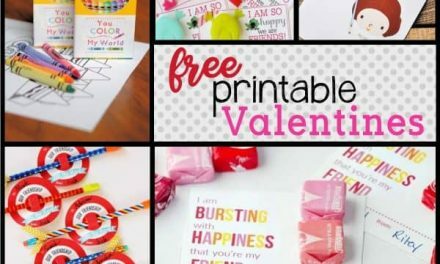 Check out these Emoji Valentines, these Arrow Valentines and this fun Valentine’s Day party. 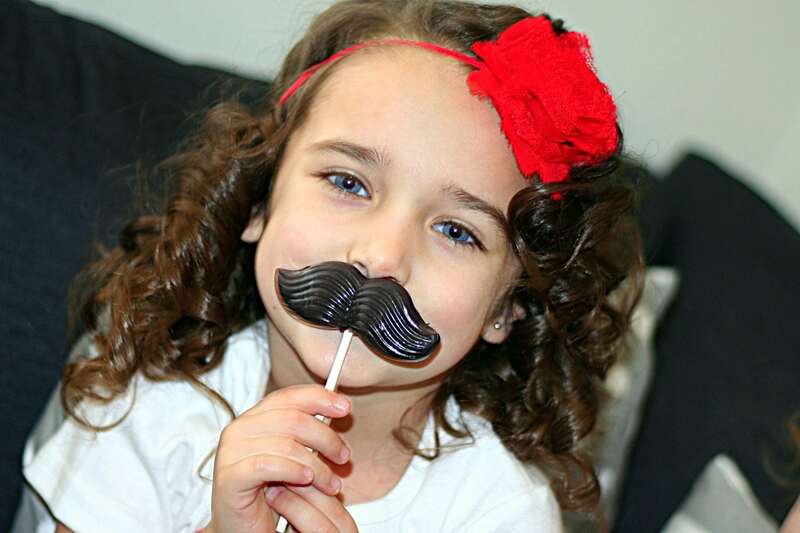 For school Valentines this year, Aubrey wanted “mustaches”! She LOVES photo props. 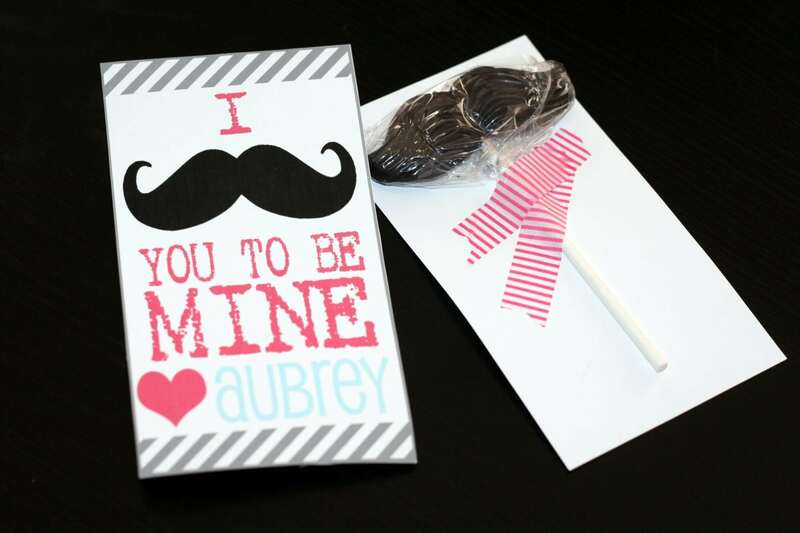 That little lady is super creative and budding with ideas… We made some yummy chocolate lollipops and paired them up with some fun mustache valentines. 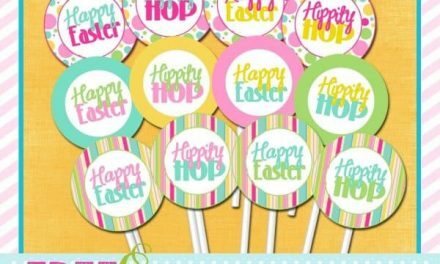 The chocolate lollipops were crazy easy to make. I used a Chocolate Mustache Mold , Wilton Black Candy Melts , and 4-Inch Lollipop Sticks . I melted the candy melts in the microwave, and spooned it into the mold. I then placed the sticks in the tray and turned them 180 degrees so they were covered with chocolate and put the mold in the fridge for about 20 mins. Easy peasy!! The FREE valentines are available for download at the bottom of the post. 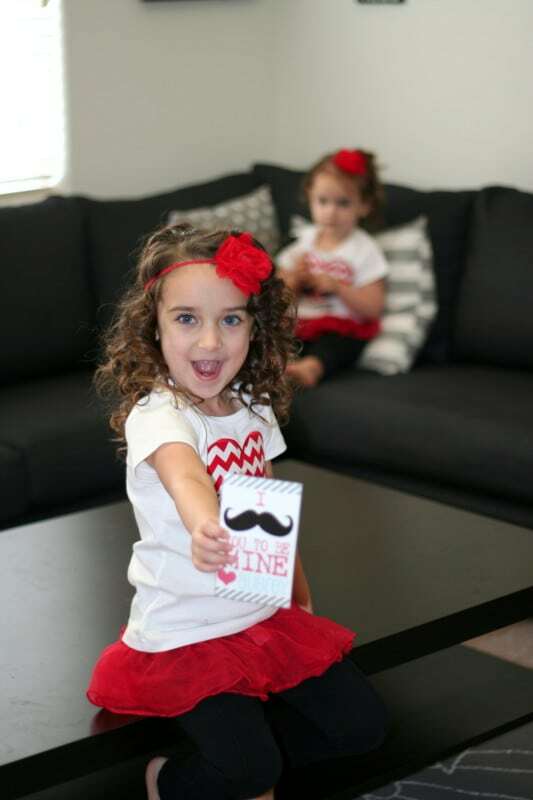 Check out the pictures of my little valentines… Their adorable shirts came from Sew Cute Creations and they were absolutely adorable. 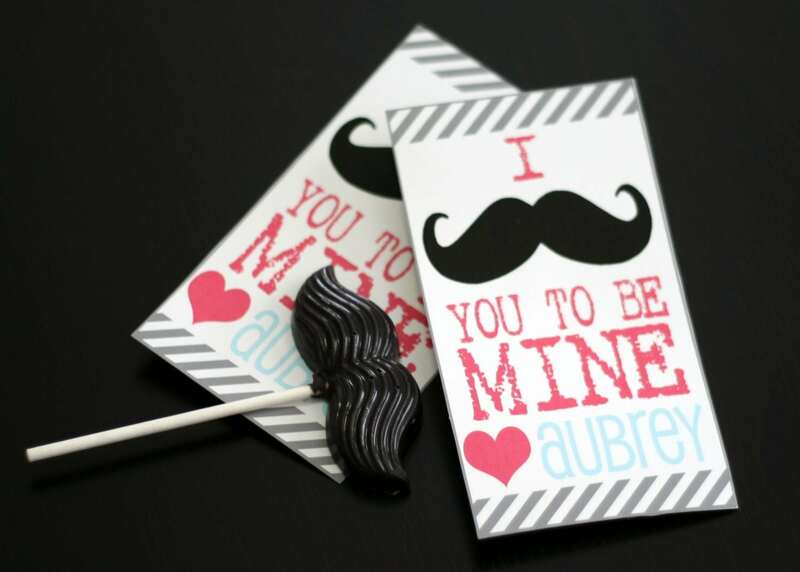 The perfect touch to go with the super fun mustache valentines. 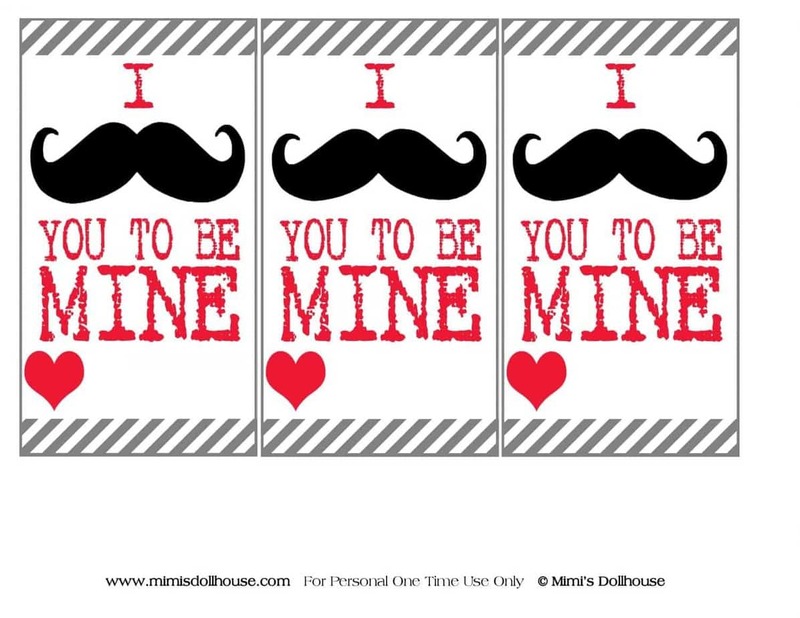 Download the FREE Printable Mustache Valentines. This are so cute! The other day I realized I need to start thinking about Valentine’s Day and pick up some cards for my daughter’s class. I’m doing this instead. Thank you! These are really cute! I love he mustache idea. 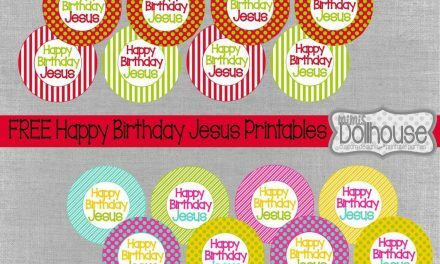 My younger son’s birthday is on Valentines Day, so I’ve been trying to think of some fun themes for a little party. Before he’s too old to hate the idea of a holiday themed party. Your girls are so cute! And what an absolutely fun idea. I’ll definitely be trying these mustaches come Valentine’s! These are super adorable! You’re kids are super cute, as well! Super cute ideas! We are a homeschool family so Valentines day is hit and miss since we aren’t doing our co-op this year. I love doing Valentine’s with my kiddos!!! So much fun!! On off years, maybe your kids can make them for each other?? Those are super cute! My grand kids would love them! Such a cute idea! Love the lollipop. And your girls are darling! That is so adorable! Tbh, if I had those chocolate mustaches, I’d probably eat them all! What an adorable idea! I love the little lollypops! We LOVE mustaches! That was the theme of my son’s first birthday! 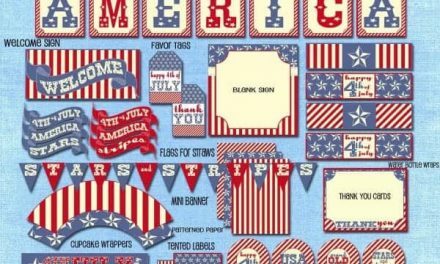 These prints and the girls outfits are so precious! These are so darling! You’re so very creative and I truly love all your stuff! These are adorable! They are so sweet and simple! They are also great for boys or girls which is nice! These are so very darling and something my kids would LOVE! These are adorable! Happy (early) Valentine’s Day!